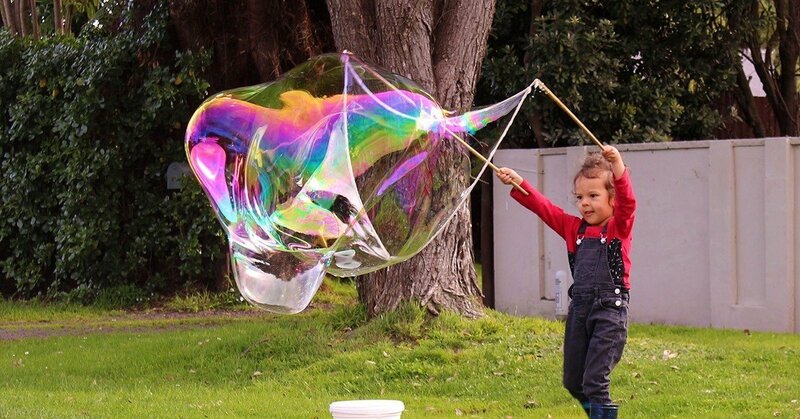 The Intermediate Giant Bubble Kit is perfect for hours of outdoor fun. It’s easy to dip and blow giant bubbles with the right size pole length and perfect size loop. Best time to create giant bubbles: For kids, having a bit of wind is ideal as they would just have to dip and open the wand up in the air and let the wind create the bubbles. If there is no wind and is quite a still, calm day, then they would have to slowly walk backwards/sway the wand gently for the wind to catch. Bubble Time: 1 hour with 900mm wand and continuous use. The Intermediate Giant Bubble Kit for creating massive, colourful bubbles. 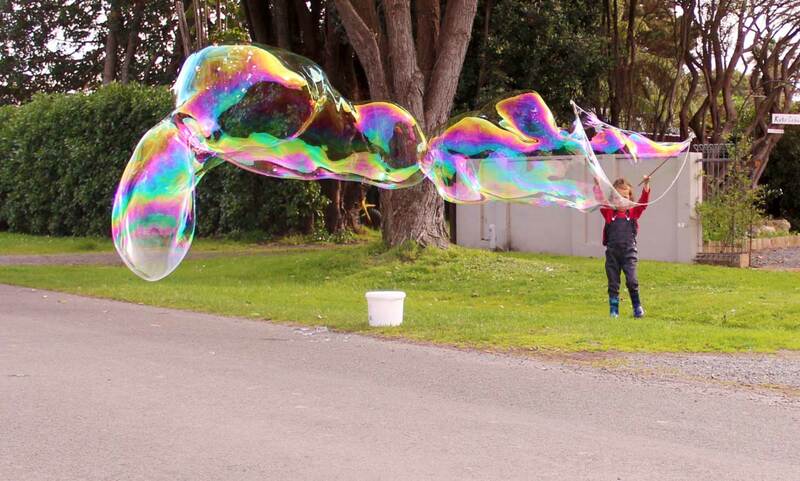 The Intermediate Giant Bubble Kit is perfect for creating jaw-dropping massive bubbles. This kit creates hours of fun and is a great way to get your kids outdoors. Older children will have a blast! 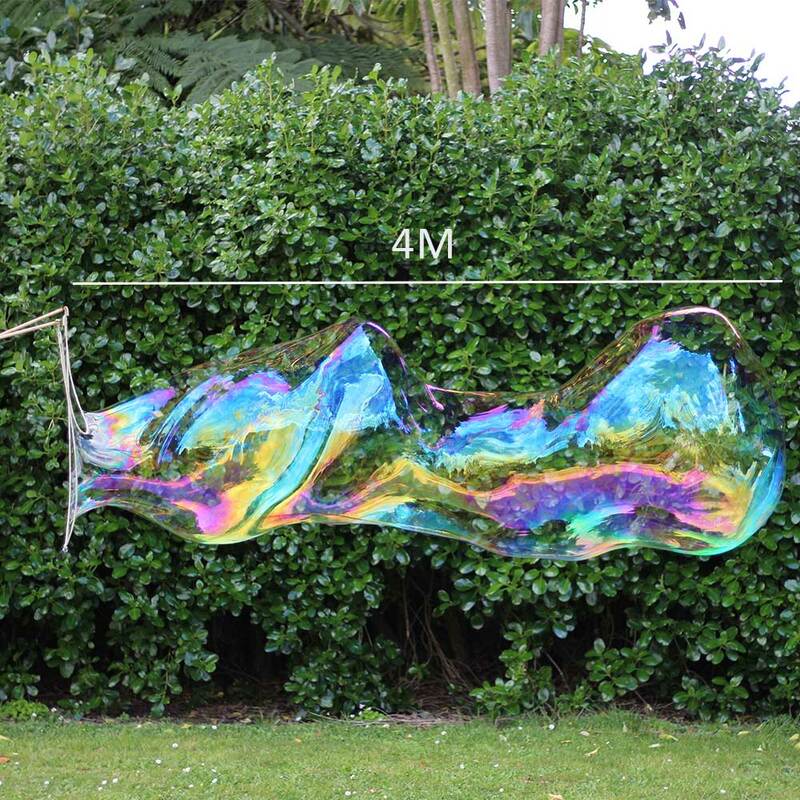 Watch them chase the magic as massive bubbles 3x their size float along with magnificent colours. 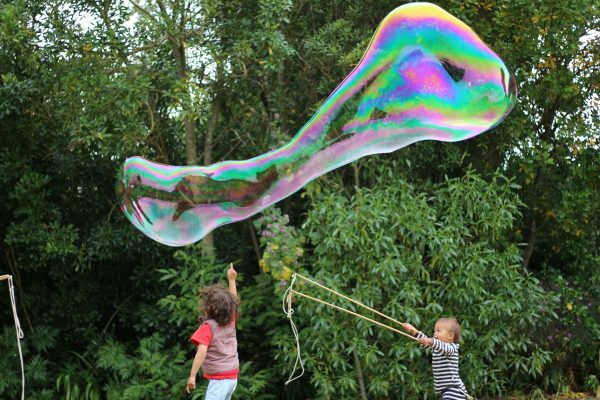 You would have a hard time resisting to create some bubbles yourself!